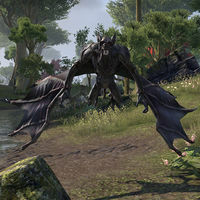 Giant Bats can be found in dungeons or forests. They have one attack that they telegraph: a screech attach that hits in a short, wide cone-shaped space in front of them. This page was last modified on 11 November 2018, at 12:33.